Hundreds of passengers have been forced to evacuate a plane at Japan’s Haneda Airport in Tokyo after its engine caught fire during take off. 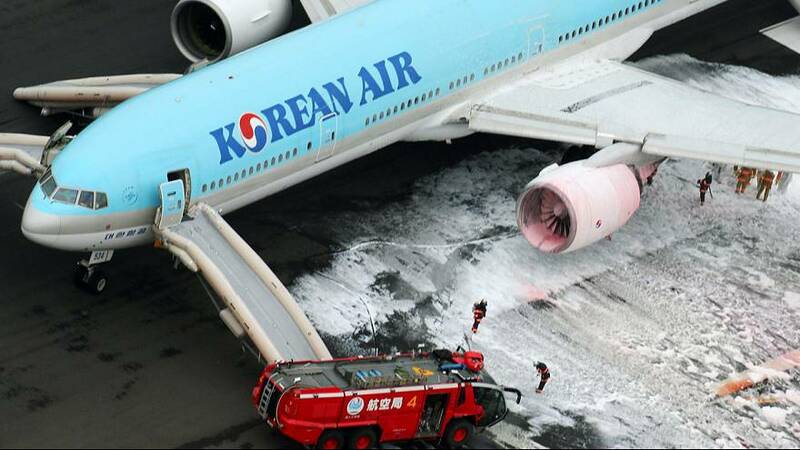 The Korean Air Lines flight was due to fly to Seoul when it caught fire. No injuries were reported among the 300 passengers and 17 crew on board, but the incident caused significant disruption, temporarily closing down Japan’s busiest aviation hub. Haneda Airport, located on Tokyo Bay, handles around 550 flights a day. Images of the stranded Boeing 777 showed the aircraft covered in foam after firefighters blanketed the plane’s left engine.